Environment: Solid overcast, wintery mix (I think they call it) ... wind, rain and frozen rain. Good weather for wind practice !!! Equipment: 5.56(18) with 77gr smk BH load. xtr2 3-15x, radius, kestrel, shooter on phone, manfrotto, 4-wheeler, 7 mags of 5 rds each. Tab Gear, rear bag, "Rite in the Rain" note pad and pen. Activity: Gave the cows some cracked corn, to keep them busy in the alfalfa patch. Went and painted the two targets I would be using. 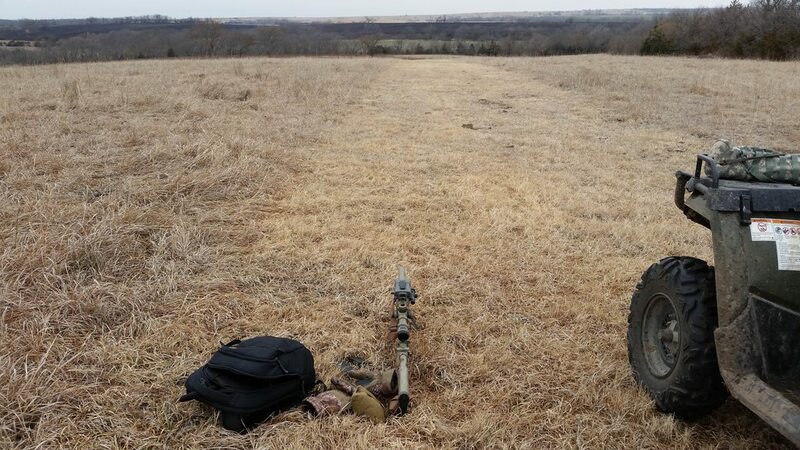 Then headed up to the 500yd FP and setup. Held two clumps of grass over the gun and released. The first headed exactly towards the target, the second veered off a tiny bit to the right. So wind 170-180 off the bullet path (which is NNW). Held 0.5 right, which would be effective 4 mph at 90 degree and my read was 8 at 170. Dirt splash was 2 o'clock by 2 inches. I thought I was high so I backed off the up hold and held 2.5 up. Half a mil is 9 inches so held 1 mil left. Next round was centered left by 2 inches. I had heard wind increase but did not react. Heard wind die a bit, held 1 mil a again, and 2.5 up. 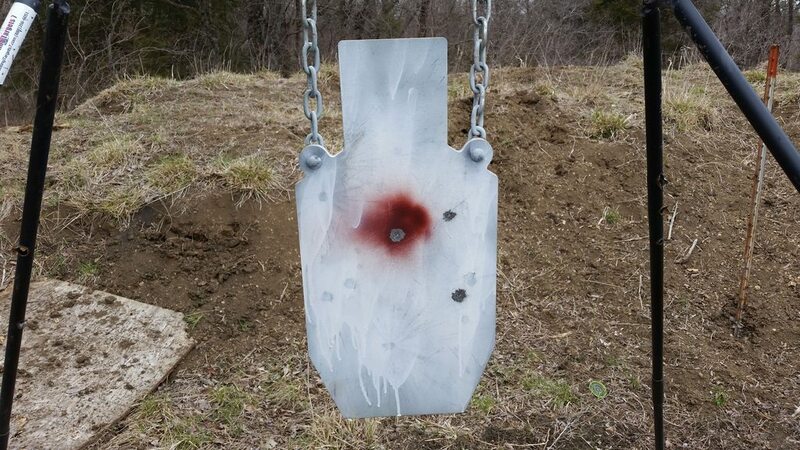 Fired saw splotch appear low right part of target. Back to 2.8 up. Held 1 mil fired saw nothing. 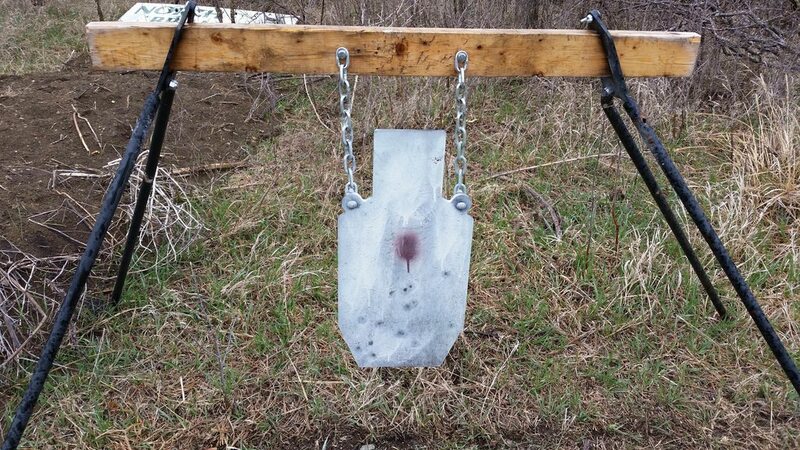 Held 1 mil fired saw splotch to right of bull. Realized the dirt I was seeing was above the hit, so I have to remember I hit below the dirt. The 2.8 AB hold seems correct for elevation. Have to pay attention to the sound of the wind and adjust hold accordingly. The frozen rain started while I was at the target. It was painful driving back up the hill into the rain. The little "drops" sting when they hit your skin. Had to shield my eyes with my hand while driving the 4 wheeler. Measured wind direction with 2 clumps of grass. One veered 10 degrees to the left, the other veered 10 degrees to the right. Facing the wind, most of the "drops" seems to be coming right at me, but a tiny few seems to be blowing to my left (facing the wind exactly away from the target). So 2.8 up and somewhere between 0.5 and 1.5 mils left. On the scope, I could see the frozen rain leaning over to the right and forming 30 degree angle from verticle. This meant 7.5 effeective wind That meant 1.1 hold. But I used the kestrel and the grass toss not the rain read and hold 0.5 I was right of the target by inches. I heard the wind come up and held 1.5 left and was inches to the left. I held 1.0 mils for the other shots. One was high, the others were near the red bull. I could not see those from the FP. I am having issues with the rear bag. I almost don't shoot prone at all any more (most off tripods or standing unsupported) and it seems like I am starting over again to learn how . But it caused some NP isses and some high rounds, I think. Took another wind reading. No change. 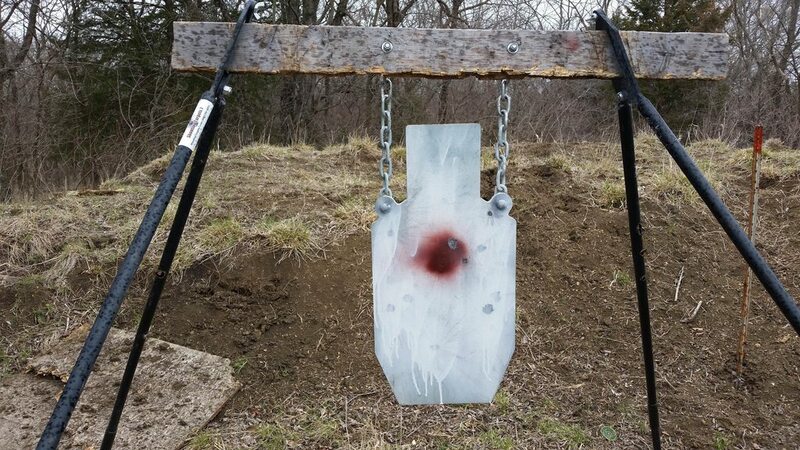 First three rounds held 1.0 saw no hits (can't see hits on the bull and there is no sound or clear movement often for 5.56, especially in these conditions). Heard wind go up held 1.2 for last 2 shots, saw splotches. Thru scope pic, trying to show the percipitation but too much water on the lenses. So seems to b dropping. Frozen/Rain continues. Can clearly see it through the scope at 30 degree angle. First 2 shots were high (I could only see one of them). I adjusted the rear bag to try to improve NP. Second three shots no call (they hit the red area). Well, I felt like I had the "range" here, so decided to head over to the other target. 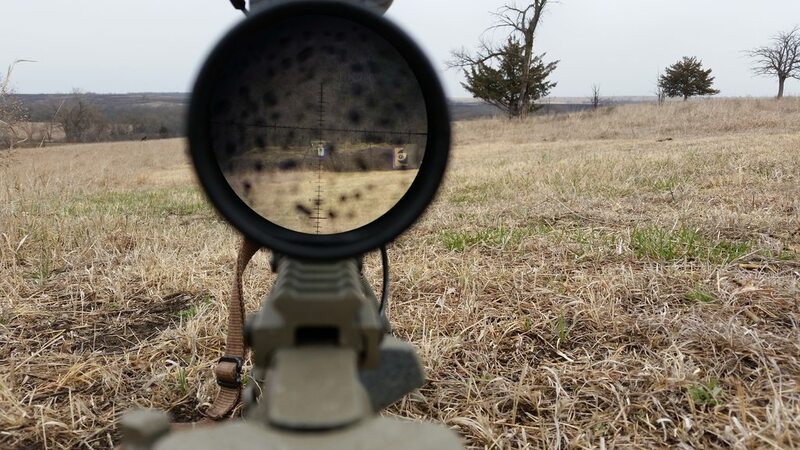 I want to practice prone (for Greg's class), so I had to drive past the 700 meter distance and down the hill until I thought maybe I could see the target prone. Dismouted and got down and yes I could see the target from the ground. Ranged the target got 599 and 601 meters (a.k.a. 660yds). Looked at the percipitation through the scope. It was leaning 10 degrees right so 2.5 mph effective wind. That would indicate 0.5 hold and it turned out that was correct ... but I didn't use it. I cheated and tried a sighter. AB said hold 4.9 mils up. And 2.0 for 90 degree 10 mph crosswind. For the sighter I aimed center of the target for elevation but 4.0 up which should put me right below the target. I was just below the target but maybe 6 inches right. Not completely trusting the AB "DOPE" yet, I held 4.5 up and 0.5 left based on the sighter ... I fired all 4 remaining rounds and thought I heard 1 "ping". The percipitation visible thru the scope was heavy and I tried to take a pic, but it just looks fuzzy. The rear of the scope kept getting covered with water. Just before I went out I found 2 McD's brown napkins in one pocket and decided to leave them in there. 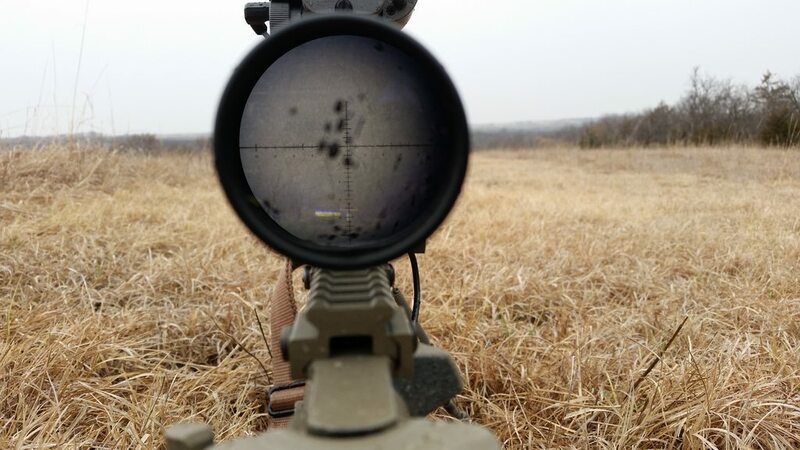 When the rear lens got covered in water I would fish them out and dab the moisture off the back of the scope. Without those napkins I would've been crippled (or maybe my tee shirt would've worked, but it would've been fun getting that deployed as a rag! 1.0 left. Thought I could see the bottom of the target "greying up". No change in conditions, but decided to hold 4.8 up and 1.0 left. Heard 2 barely audible "pings" in this group. Rolled down to target, got 14 hits (the first sighter round was in the dirt). Summary: Now this is fun! But, no more sighters for wind practice. That makes it too easy. One issue with this small gun is the ammo doesn't move the steel much more than the wind and doesn't make much noise. I need a suggestion for a new rear bag. I can't get the current one to work, it is either too high (if verticle) or too low (if sideways). Maybe I need a class on rear bags !! Well, the last three times (and the only three where I've really paid attention) that I could use the mirage, or the precipitation, I would've nailed the wind call. So, going forward, if the mirage or precipitation is giving me a strong clue, I'm going with that. The "Rite in the Rain" book and pen worked. Now I realize the elevation data in the Shooter is dead on .. I think I have the best data I can get in there ... including solid muzzle velocity and optic center above bore center and it seems to be dead on. No second guessing the shooter. Shooting off the side of the hill at 660yds was tougher than it sounds. Not only was I shooting down hill (that wasn't an issue) but the slope of the ground I choose was down hill right to left. I countered by raising the right tripod leg one notch. But my left leg felt like it was 6 inches higher than my right leg. But somehow the gun was hardly moving after each shot, so I had good visibility on the target, except for all the precipitation. So Bank of America will "no longer lend to companies that make ‘military-style’ weapons". All the best snake eaters carry a couple clear lens covers for when the weather goes south. Imagine a life or death situation in the pouring rain or after you've slogged through a couple miles of heavy smoke or dust ? You'd get killed with a golf club. 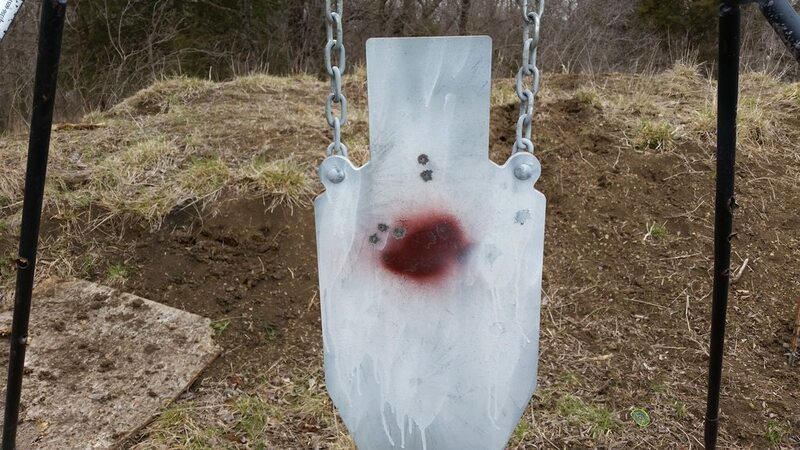 You need to practice your weather tactics.... and always have a couple of these in your vest... pop it open for a second while shooting and immediately close again. In more hectic situations they're disposable.. you can rub em with a McDonalds napkin all you want then throw em away when they're scratched. Why not make your own rear bag that's exactly how you want it.... sewing is easy to learn... or show me a sketch and I'll give you the cut patterns. Who lives in the next farm over. And what is the range in that picture? empty ... not even any cows for last three years ... I need to call the owner and rent it for my expanding herd !! 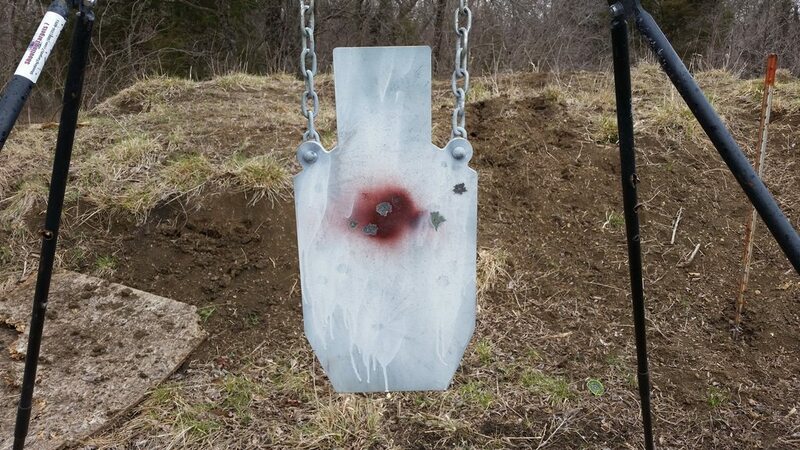 The range to the target is 660yds (per the write up). The range to the high ground in the distance is 3 miles ... moving out to 4 miles as to move to the right. ... you can rub em with a McDonalds napkin all you want then throw em away when they're scratched. I was dabbing not rubbing (per the write up) !!! Unfortunately, I don't really like rear bags and would rather not use them ... I immediately lost the first one I got back in 2014 and got another ... and I can't believe I haven't lost it yet. But unfortunately, they help in some situations. I just ordered a rear mono-pod. It attaches to the rifle, so I can't loose it and it folds up out of the way when I don't need it. So will try that next. But I will remember your offer and if I figure out what sort of rear bag I want, I will be in touch !!! 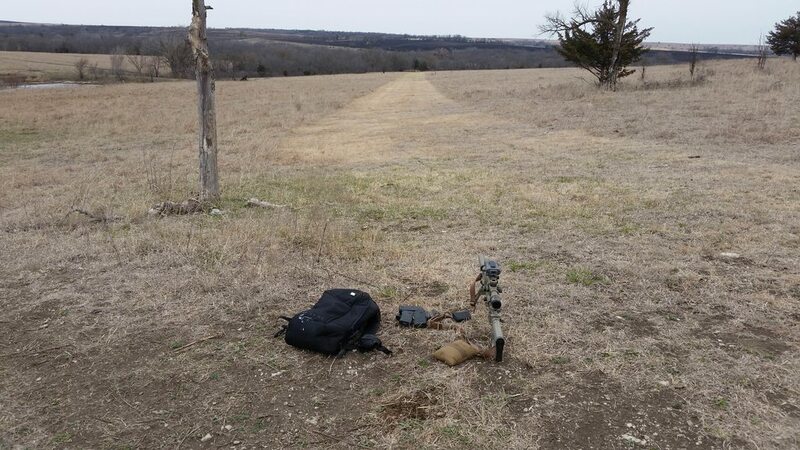 Is a rear bag for spent shells? A monopod is just another plastic gadget sticking out of your weapon. It doesn't give you that soft squeeze you want when your making your final adjustment. I designed a bag that was a narrow triangular wedge that attaches to the sling and fills that space between stock and sling. It's only 2" wide and made from an elastic fleece material so it's always filled firm but will expand as you squeeze. My company was going to patent it but never got around to it. Ill see if I have a photo tomorrow.